Forge your own path, engage your passions, and light thousands of sparks to become the person you want to be with this interactive guide filled with quizzes and activities to help you along the way. It’s no secret that your teen years can be tumultuous, confusing, and even sucky, but that doesn’t mean you can’t light a fire in your life. 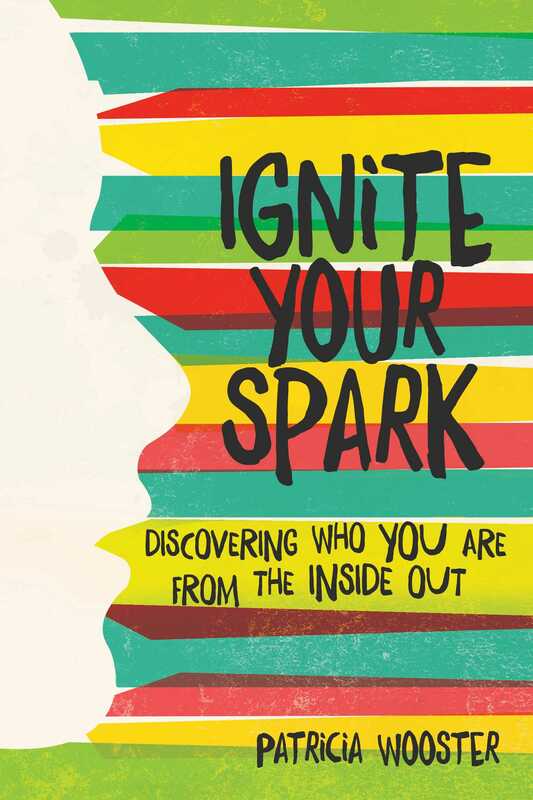 Covering topics from relationships, self-image, and school to goals, failures, and willpower, Ignite Your Spark features thought-provoking quizzes, “Ignite Your Life” activities, and profiles of kids and adults alike who have ignited their own spark to accomplish extraordinary things. Your teen years don’t have to be a struggle, and with this handbook for self-discovery and personal fulfillment, you will find that the ability to ignite your own spark has been within you all along. Ignite Your Spark 1 WHAT IS YOUR SPARK? Wouldn’t it be great if you woke up every morning excited and energized because your days were filled with a purpose? Or if you looked in the mirror and liked the person staring back at you? What if you could improve your relationships and spend time with people who share and support your interests? Your spark includes the best parts of yourself that you can use to fulfill your dreams, love who you are, and take your life in the direction that makes you the most happy. That’s what igniting your spark is all about: discovering and becoming the person you want to be. You don’t have to be an adult or out of school to start boosting your self-identity. You can do it right now. Your spark is not what your parents want you to do, or what will look good on your school transcripts, or even about what your friends are doing. Igniting your spark is about connecting you to the things that make you want to jump out of bed in the morning. All you need is curiosity and the willingness to try something new. Whether you are interested in finding a new hobby, making new friends, or feeling better about how you look—you are in control of your life’s direction. Start looking for opportunities to make positive changes in your life—we’ll discuss the whens, whys, and hows in this book—and get ready to remove any barriers standing in your way. This is your journey! Morgan and Drew are best friends and total opposites. Morgan doesn’t mind standing out from the crowd with her hair dyed a different color every week; Drew likes to blend in and go unnoticed. While Morgan finds a way to do the activities she likes, Drew never quite gets around to pursuing a hobby. He’s afraid of missing out on a social activity if he commits to something new. “I can’t hang out with you tonight. I’ve got that race tomorrow morning with my dad, and then I’ve got band practice,” Morgan says. A lot has changed since I was in school, but the basic issues have stayed the same—expectations from parents, insecurities, peer pressure, school cliques, and so on. My greatest wishes were to fit in, have some sort of talent, and feel good about how I looked. I spent so much time trying to blend in that I forgot who I really was, and I stopped asking myself what I wanted out of life. I always loved to write. It started with poems and stories no one would ever see. In class I doodled and wrote ideas in the margins of my notebooks. At home I pretended to do my homework while documenting my entire day in my journal. I wrote about problems with friends, my insecurities, and dreams for my future. And then life got in the way and I stopped writing. After college I didn’t even consider looking for a job where I could write. I was living in Kansas and thought to be a writer you had to be living in New York City working for a magazine publisher. I didn’t know how many different companies utilize writers for things like: marketing, technical documents, employee manuals, or website content. The expectations were for me to go out and find a job where I could earn enough money to be self-sufficient. No one told me I could earn a living doing something I actually enjoyed. I went out and got your basic entry-level job and spent all of my free time with friends. I suffered from major FOMO (fear of missing out), so I never missed a party or outing. It took many years, several jobs, and having a couple of kids for me to realize how much I missed putting pen to paper. So, I started writing. And then I found a local writing group, which introduced me to new writing techniques. And I noticed how great it made me feel, which caused me to start believing in myself, and I started developing friendships with other writers, who helped me find opportunities to publish, which made me excited to sit down and write every day. And my life made a radical shift, and my spark was ignited. Don’t let time take you farther away from what you like to do. It took me more than twenty years to get back to my passion. You’re never too young to create your own identity and pursue your dreams. Once you embrace who you are, all kinds of doors will start to open for you. Things will begin to fall into place. When I started doing what I loved, new opportunities began to present themselves to me. Once I put the word out “this is who I am,” people began to approach me about projects, or introduce me to others with the same passion. It will happen for you too. All you need to do is take the first step. Here are a few suggestions to get you started. Stop wasting time doing things you don’t enjoy. If you don’t like sports, don’t try out for the basketball team. Sign up for an art class instead. This is your time to try all kinds of new things. There are no right or wrong activities if you’re doing something you enjoy. Don’t be afraid to look outside of your school’s offerings during your search. Who knows? Your new hobby may lead you toward your future career. Look in the mirror and love what you see. Stop obsessing over your flaws. Very few people look like supermodels or professional athletes. Enhancing your best features and embracing your uniqueness can be a lot of fun. You may have to experiment with different clothing styles and how you want to present yourself, but you’ll feel great when your outside appearance matches the type of person you are on the inside. Doing something without passion. I don’t really care what I do as long as I’m good at it. Once you know who you are and feel good about yourself, you’ll start seeking out people who support your dreams. Your friendships will improve. Communication at home will get better. You’ll find yourself gravitating to people who have similar interests and beliefs. Think how great it would feel to not worry about what other people think. True friends will love and respect you for who you are. Create your own inner fandom. I like who I am. As you travel through this book, you will discover all sorts of paths you can take toward forming your own identity. Various experts will offer you their advice. You will take self-discovery quizzes and be given exploratory exercises. This will help you assess who you are and identify who you want to be. You will read interviews from people of all ages doing amazing things. You’ll hear from a magician, a gymnast, an entrepreneur, a writer, and many more. They have very different dreams, but they all share a similar message. Knowing who they are and loving what they do has changed their lives. It can change your life too. Everyone needs a healthy dose of self-confidence to pursue their dreams. You need to be open to making changes and taking risks in order to discover who you are. If you feel good about yourself, you’ll have an easier time making friends, handling problems, and avoiding peer pressure. If you feel bad about yourself, it’s easy to become critical and to make bad decisions. Before you can ignite your spark, you need to think about what’s holding you back. Here’s a short quiz to get you thinking. Answer true or false for each of the following questions. 1. I would rather be myself than change who I am to fit in. 2. I set goals for myself and then set out to achieve them. 3. When I look in the mirror, I like what I see. 4. I have no problem standing up for what I believe in. 5. I’m my biggest cheerleader. 6. I’m comfortable around new people. 7. I try new activities even if my friends don’t participate. 8. I can get lost in an activity I enjoy. 9. I know how to ask for help when needed. 10. I don’t need to be the center of attention. Congratulate yourself for every time you answered true! This means you are confident in this area. If you answered false for any question, that’s okay. We will be working on these areas throughout the book. Some of these changes will be easy to make, and others will take some time. Feel free to come back to this quiz at any time. It’s a great way to check your level of confidence. If you didn’t catch Aly Raisman igniting her dreams during the 2012 Summer Olympics or on Dancing with the Stars in 2013, then maybe you saw her once again lighting up the gymnastics floor at the 2016 Olympic Games in Rio, Brazil. In both 2012 and 2016, she was the captain of the women’s gold medal–winning gymnastics teams. In 2012, she took home a gold medal for floor exercises and a bronze medal for balance beam. In 2016, she earned an individual silver medal for the women’s all-around. She’s a great example of someone who uses grit, determination, and hard work to pursue her love of gymnastics. Read on to learn how this five-time Olympic medalist found her passion. 1. How did you discover gymnastics was your true passion? I started gymnastics when I was two, so it’s all I’ve ever known. I was very active when I was younger and always doing so many sports like baseball, soccer, ice-skating, and basketball, but gymnastics was always my favorite. 2. What do you love most about the sport and being part of a team? I love how gymnastics never gets boring and there is always something that needs more work. My favorite thing about being a part of a team is the bond that I form with my teammates. There is nothing like having great friends. 3. How do you keep a positive attitude when things aren’t going your way? Having a positive attitude and confidence is such a crucial part of anything that you do in life. Even if things aren’t going my way and I feel tired or frustrated, I try to remember I’m human and no one is perfect. The bad days are what make us stronger. If I’m nervous to compete, what keeps me going is the image of competing well and believing in myself. Hard work always turns into confidence. 4. Where do you think your confidence comes from? My confidence comes from the hard work I put into gymnastics. I work every day, and I try to do a lot of numbers and repetitions so by the time I compete, I feel confident and ready. I don’t ever want to look back and have regrets or wish I’d worked harder. I think that would be the worst feeling in the world. I’ve never felt that way, and I never want to. 5. After so much hard work, how did it feel to win three medals at the 2012 Summer Olympics? I felt very relieved and happy to have won three medals. The whole year leading up to the Olympics, I was stressed and felt a lot of pressure because I’d dreamed of the Olympics since I was eight years old and my chance had finally come. I was proud and honored to have done so well for not only my country, but also for my family and coaches who’d been supporting me every step of the way. 6. What advice can you give teens about pursuing their dreams? Always set high goals for yourself and believe you can do it. I always feel believing is half the battle. It is definitely easier said than done! I’m not really sure. I guess married with kids. I’ll be almost thirty then. I’ll always be involved in the sport of gymnastics. I know that much. 8. What’s something most of your fans don’t know about you? I love singing in the car on the way to practice. Singing to my favorite songs makes me feel calm and relaxed before a long, hard workout. I’m sure you’ve been told not to compare yourself to other people. This is good advice, but it also falls under the easier-said-than-done category. It’s difficult not to wonder . . . Who’s better looking? Who’s smarter? Who has the most friends? Who’s better at sports? It’s easy to start picking out your own flaws while discounting your assets. Be unique. I don’t need to be like everyone else. And what about the people on social media? They seem to have it all together. You can read about their dates, college acceptance letters, and the great parties they attend on weekends. They post selfies and videos, and they always seem to be having a great time. What they don’t tell you is about their insecurities, or the not-so-great things happening in their lives. Keep this in mind when you’re on the internet. People on social media only show you the things they want you to see, which is mostly just the good stuff. Being your own biggest bully. I am such a loser! The comparison game is where you can trip yourself up. You might wonder why you aren’t part of the in crowd at school. You may want to be just like them. You may copy their clothes, join their activities, and start acting like them. This may go against how you like to dress and what you like to do, but you do it to fit in. Masking your true identity robs everyone (including yourself) of the opportunity to get to know the real you. Challenge yourself to be proud of who you are as an individual. Trust me—you’ll be much happier representing your true self. Do you think you need to be like everyone else? Guess what—you don’t. Each one of you has your own individual personality and talents for a reason. Here are a few celebrities who describe themselves as awkward teens but stayed true to themselves and weren’t afraid to follow their dreams. What do you do when a close family friend dies from one of the most lethal types of cancer? If you are Jack Andraka, you do a ton of research and when you turn fifteen years old, you invent an early detection test for pancreatic, lung, and ovarian cancers. He won the Smithsonian American Ingenuity Youth Achievement Award (2012), the Jefferson Award (2014), and the Siemens Foundation We Can Change the World High School Challenge (2014) for this invention. He is a public speaker and has been featured in several documentaries. A National Geographic Emerging Explorer grant has provided the funding for him to work on a nanorobot and a cancer-fighting drug-delivery system while still improving his pancreatic cancer test. In 2015 he published his first book, titled Breakthrough: How One Teen Innovator Is Changing the World, an inspirational memoir including science experiments you can try at home or in the classroom. Jack never stopped looking for his niche. He kept trying new activities until he found his passion. To read more about Jack and his research visit him at jackandraka.com. Read on to learn how he has let nothing stand in the way of his success. 1. Tell me about your high school years. My middle school years were really formative for my experiences in high school. I hadn’t fit in well in elementary school—it was more focused on the arts than math and science, so it was a big relief to go to a math and science charter school. I was able to learn and practice and improve not only my science and math skills but also my presentation skills—which are very important for scientists, because if people aren’t engaged with or can’t understand your work, then it won’t make much of a difference. As Einstein said, “If you can’t explain it simply, you don’t understand it well enough.” I was fortunate enough to win the Intel International Science and Engineering Fair my freshman year. It was a surreal and overwhelming experience for me (the video of me winning went viral) that helped give me a platform to raise awareness of problems I was facing—big problems like the need for more funding for research for pancreatic cancer; the need for open access to scientific journal articles so that people, no matter what their gender, race, or socioeconomic status, could have access to knowledge locked away behind these paywalls; and the importance of recognizing the LGBT community is made up of not only fashion designers but also computer scientists, mathematicians, and scientists. I missed a lot of school the next few years, traveling around the world to speak about these issues, and also spent a lot of time in the lab working on improving my pancreatic sensor and thinking of other sensors and their applications. I did carve out some time to compete for a spin on the US Wildwater kayak team—I grew up kayaking on whitewater rivers and was so happy to make the team my freshman year. Although I wasn’t able to continue my training because my schedule got so busy, I still spent time hopping in my kayak for river trips to West Virginia or Pennsylvania with my family and came back with a clearer mind and sore muscles. I made sure to enjoy senior year. I joined the varsity swim team and got to feel the sense of camaraderie and competition I’d also found in science fair competitions. I learned through these experiences that the fit of a school and its students is more important than the name, so I was very careful when I was selecting universities I wanted to attend. I listened to people’s advice and then went with my heart. 2. What inspired you to create the early detection test for pancreatic cancer? When I was still in middle school, a close family friend, who was like an uncle to me, passed away from pancreatic cancer. I was so sad and confused. I didn’t even know what a pancreas was! I turned to every teenager’s go-to resources when they don’t understand something—Google and Wikipedia. What I found just shocked me. One reason the pancreatic cancer survival statistics were so grim is there isn’t a reliable, inexpensive, and quick test to detect it when it’s in the earliest stages and when the chances of being cured are better. Armed with teenage energy and optimism, I decided to figure out a better way. I spent many months reading and printing out articles and thinking of ways to detect this cancer. I was in a biology class, listening to a lecture about antibodies and reading an article about single-walled carbon nanotubes, when I had a startling idea: what if I combined what I was reading about (nanotubes) with what I was supposed to be listening to (antibodies) and created a sensor to detect the antibodies to a protein that is thought to be overproduced in people who have pancreatic cancer! Of course, I had to read lots more and design an experiment to study the idea. My parents were not supportive at first, because they liked the projects they could see, like the bioluminescent bacteria I used to study water pollution or the retrofits I created to improve dam safety. They thought I should change my project, but after seeing how much I was determined to study this, they started listening and encouraging me. Unlike my previous experiments, I couldn’t study this idea at home—I needed real lab equipment and more expensive chemicals, so I decided to find a lab. I thought I could just send out my idea and sit back and wait for offers to work in labs to pour in. 3. You were turned down by 199 labs. What made you keep trying? I was so naïve! I now realize how very busy researchers are and how long and tedious my initial emails asking for help really were. I didn’t get too discouraged by the rejections I faced every day when I would return from school and check my email for answers. I’m embarrassed to say I didn’t even have a professional-sounding email address, but one using a name of a favorite cartoon from elementary school. I learned from each rejection, improving my subject line for interest, making my email short and listing my limited credentials, and tweaking my experimental design. I wasn’t sure if it would work or not. I remembered the statistics for pancreatic cancer and how many people died every day around the world from the disease, and I wanted to make a difference, however small, in those grim statistics. 4. What advice would you give teens who are trying to find their passion? Try everything you can, and don’t worry if you aren’t good at first. I tried so many musical instruments, from piano, flute, saxophone, and clarinet to violin and cello. I was horrible, and no matter how much I practiced, I didn’t improve much. I tried musical theatre and loved the friends and rehearsals but quickly found out I was not a good singer or dancer, and although I could make the cut in local events, it was clear to me that my talents would be better spent elsewhere. I tried many sports like baseball, lacrosse, and soccer, but I was more comfortable mountain biking or kayaking and using that time to relax and clear my mind. I made the math team, and at first I thought I’d found my true passion—I loved the people and spent hours when I was supposed to be sleeping studying the Mathcounts and the art of problem-solving math books under the covers. The highlight of my summer was attending the month-long math camp I paid for by winning math competitions. I was obsessed . . . until I discovered science fairs and using the scientific method to examine and explain how the world works, and using that knowledge to find solutions to improve public health. I’m still thinking every day about ideas to make the world healthier and writing them in a journal to remember and refer back to. My advice is to find your own path and think about what is important to you and makes you happy, and then work to improve your skills. Someone said to me, “What would you do if you woke up and it was Saturday morning and you had nothing scheduled for that day?” When you find the answer to that question, you are well on your way to finding your passion. 5. What’s the greatest thing you’ve learned about yourself during this process? I learned I am persistent and resilient, and those can be good qualities when combined with listening to good advice and following my heart and passion. I love to be around people who are trying to change the world for the better, improving the lives of billions of people, and who are impatient to get started working! Have you ever done something just to fit in? Have you made changes to how you dress, act, or think in order to be like your friends? If so, you have conformed. This is not all bad. Some conformity is good, like following the rules at school, studying hard for tests, or showing up on time for all of your soccer practices. This type of conformity keeps things in order and establishes rules. Trying to be like everybody else. I’m just going to go along with whatever my friends are doing. Remember Robbins’s words while you’re reading this book. Oftentimes the price of admission to certain cliques at school isn’t worth the trade-off of changing the best parts of yourself. Appreciate your uniqueness and participate in activities that surround you with people who support you just the way you are. The closer you move to self-acceptance, the better off you’ll be when it comes to handling peer pressure, bullying, and self-doubt. You’ll feel awesome in your own skin and ahead of the game when it comes to pursuing your passions in life! Inspiration can be found anywhere. For Ben Scheer, his inspiration was found at home with his brother who has special needs. Frustrated with year after year of bad school pictures where his brother wasn’t looking at the camera or smiling, high school senior Ben decided to use his love of photography to take pictures of his brother. His mom was thrilled when she received the pictures capturing the true essence of her son. With the success of his brother’s pictures, Ben decided to help other people who have a difficult time getting good pictures of their children. He created Photobilities to provide a place where kids with special needs can come to get their picture taken. They receive all the time and attention they need to capture their beautiful personalities. His work has been published by The Whitman Journal of Psychology, Eidolon magazine, and Bethesda Magazine. To view his photographs, visit photobilitiesphotography.com. By igniting his spark, Ben has helped many families enjoy pictures of their children! Who are you? It’s a simple question but often a difficult one to answer. Or maybe you know the answer but are afraid to show people the true you. Knowing who you are isn’t about knowing what kind of job you want to have when you grow up. It’s not about your values or beliefs. It’s more than what you look like or how you dress. It’s not just one of those things—it’s all of them! You can look in the mirror and identify if you are short or tall, have brown hair or blond hair, or if you are curvy or thin. You were born with these features. You add your own personal sparkle to your appearance based on what you wear, how you style your hair, and whether you exercise or not. These are your physical attributes. Your personality attributes refer to how you are on the inside. What school subjects do you enjoy? Who are your friends? Do you like sports? What are your beliefs? Are you shy or outgoing? Honest and kind? All of these things—and many, many more—define you as a person. You, and only you, can choose the type of person you want to be, and you can do it right now. Don’t waste twenty years (like I did). Don’t waste even a second. Think of yourself as a blank slate. Every time you try something new, you have the potential to light a spark. You can light thousands of sparks to become exactly the person you want to be! Light your spark. I’m going to keep trying new activities. We can be pretty hard on ourselves when it comes to our appearance, talents, and personality characteristics. Grab a pen and paper, and make a list to describe yourself on the inside and out. Next, make a list of how you would like friends and family to describe you in those same categories. Do the two lists match up? Are you realistic about how you describe yourself? Or are you a major self-critic? After you’ve read this book and completed the other activities, come back to this list to see if your opinion of yourself has changed. Hopefully, you will see that you’re an amazing person! 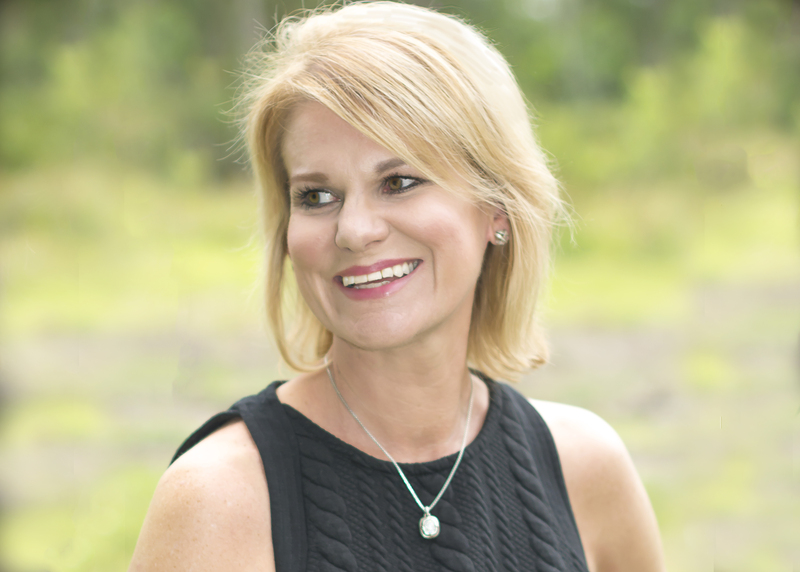 “The principles laid out in Ignite Your Spark will help teens discover their unique path and grow into adults of character, confidence, and substance." The teen years are often perceived as an angst-ridden and turbulent period of human development, but Wooster asserts that adolescence can also be a time of empowerment and self-discovery. The book centers on the idea of a “spark,” which represents the things that every individual finds inspiring. Common thoughts and behaviors are divided squarely into two camps: those that fan the flames of success and those that extinguish them. Elaborations on the major aspects of the teen years are all included—romantic and platonic relationships, self-image, schoolwork, goal setting, and careers. Interviews with real people and quizzes of self-discovery guide Wooster’s narrative. Readers are challenged not only to change their outlook and think more positively but also to create practical action plans for personal success, with relatable examples and suggestions. The central idea is that young people don’t have to wait for adulthood to find the things that encourage and inspire them. Adolescence is often rife with sticky relationships, worries about the future, and general confusion. Wooster attempts to alleviate some of that turmoil in this work that encourages teenagers to think about how their present interests and talents can inspire a life filled with meaningful pursuits. Using a familiar structure, each chapter discusses how teens might revitalize their relationships, activities, dreams, failures, and more. First, a scenario introduces the topic, followed by a general discussion. Next, a short quiz offers readers the chance to assess where they might stand regarding the quality of their relationships or attitudes toward school. Included are interviews with “Illuminators” (some are well-known figures, while others are professional experts or teens themselves) who discovered their passions and went on to notable success. The author continues with helpful advice on changing negative or problematic situations. While the book can be read cover to cover, it might be more appreciated by teens concerned with a particular issue addressed in the relevant chapters. Otherwise the material can become repetitive and formulaic. VERDICT Librarians who need to spruce up their teen bibliotherapy sections with newer, updated titles might find this a worthy addition to their collections. “Wouldn’t it be great if you woke up every morning excited and energized because your days were filled with a purpose?” That’s the question Wooster (So, You Want to Be a Leader?) poses at the outset of this wide-ranging guide that aims to encourage teens to cultivate their passions. Chapters devoted to friendships, relationships, habits, failures, and other topics include a mix of reader-directed quizzes, scenarios featuring fictional teens, and interviews with a real-life adult and teen “illuminators” including author Beth Reekles, filmmaker Lee Hirsch, and a variety of young entrepreneurs. Throughout, Wooster offers a mix of aphoristic suggestions for how readers can stay on track (“Leave your comfort zone behind”) and concrete goals and actions they can take to foster their interests and skills. Ages 12–up. Inside every young person there is an inner spark that sets him or her apart from the world. There is no need to find a niche in a clique; the most important thing is to embrace the ability to stand out. Wooster’s book intends to help adolescents discover their true identities. Throughout the text, she has rocket and fire extinguisher icons that stand for things that can ignite an inner spark and things that can put it out. She begins with a brief retelling of her life story and explains how she finally realized her identity and discovered her purpose. Her purpose aligns every area of her life. Each chapter focuses on different levels of self-image. What makes this book stand out is Wooster’s interviews with a diverse group of people from different walks of life. The interview questions relate to the topic and add to the book’s cohesiveness and overall appeal. Quizzes in the chapters give readers an opportunity to self-assess, while the sidebars draw out important concepts. In addition to a table of contents, the book also contains a list of websites that provide further reading about the topics covered. This is an excellent resource that will help adolescents navigate the tumultuous journey to finding themselves.—Anjeanette Alexander-Smith. For students trying to figure out school, life, and the meaning of everything, Patricia Wooster's new book may be the answer. By following one or more of the ten suggestions Wooster offers for "igniting" different aspects of life, including relationships, dreams, and failures, teens can begin to take charge of their own life and move it in a positive direction. Along the way they receive helpful hints about spark igniters—things to keep life positive—and spark extinguishers—ways of thinking that will quickly dampen enthusiasm for life. Readers will also find useful quizzes to help them pinpoint where they are in relationship to the topic. What sets this book apart is that the author intentionally designed the book to be revisited over and over again. The suggestion is to focus on one or two sparks, implement them, and then come back for more. Also included are bullying resources, college resources, and just-for-fun resources. This book could be a teen's constant companion during the high school years. Additional Resources. Websites.